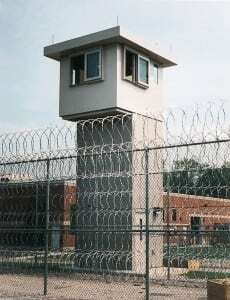 Looking for a bullet resistant guard booth or bullet proof security building? While there is really no such thing as “bullet proof”, a bullet resistant guard booth protects the occupants within (security officers, parking lot attendants, ticket sellers, etc.). 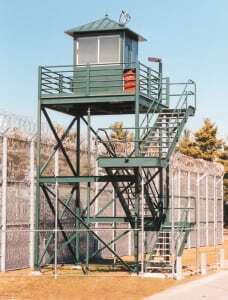 Depending on usage and perceived threat level, Par-Kut bullet resistant enclosures offer protection against weapons ranging from 9mm handguns to automatic assault weapons utilizing armor piercing bullets. Par-Kut bullet resistant enclosures meet levels UL8, NIJ4 and higher and can also be engineered to meet explosive blast load requirements. 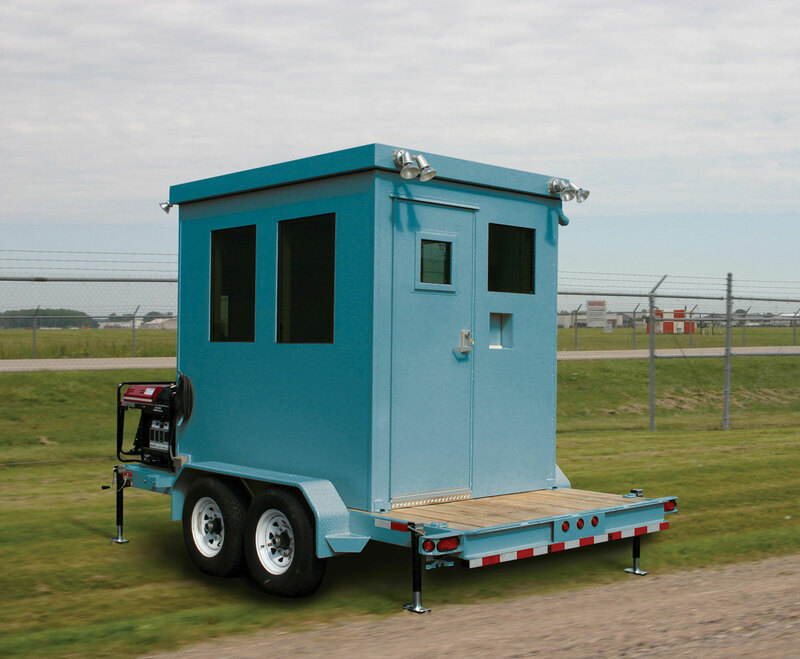 Bullet resistant enclosures and guard houses are traditionally installed upon a concrete slab, but based on the site and application, may be installed on overbuilt trailers for mobility, or up on top of a structural steel towers (up to 40? high). 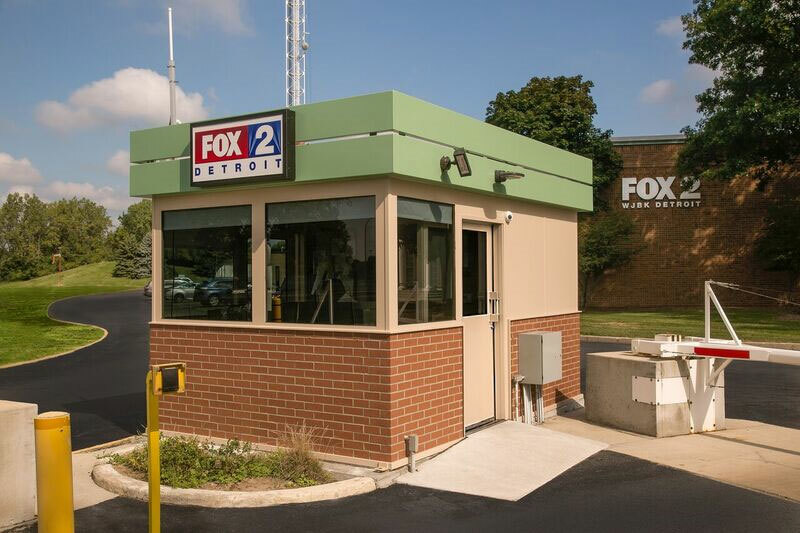 Further, a standing seam hip roof can be installed on a bullet resistant guard booth to shed lobbed explosives. 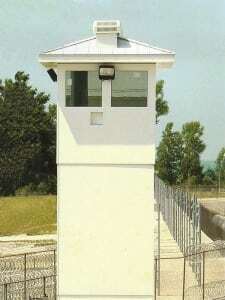 Lifting rings are standard in the roof of all Par-Kut bullet resistant guardhouses. 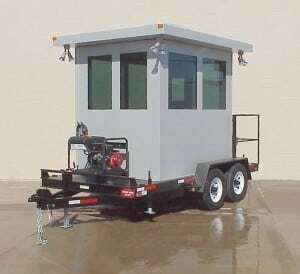 The bullet resistant enclosure option list is extensive and includes additional doors, enhanced thermal insulation, electrical battery backup systems, reflective glass, gun ports, phone and data preps, dimmable or red interior lighting, exterior flood lights, and additional electrical outlets. 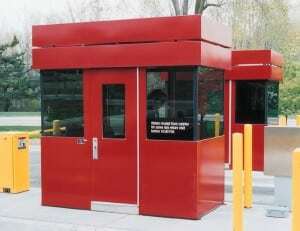 A bullet resistant guard booth can also include transaction drawers or deal trays, cash handling equipment, intercoms, customized work counters, anti fatigue floor mats, directional lighting or signage, lighting or even a generator. 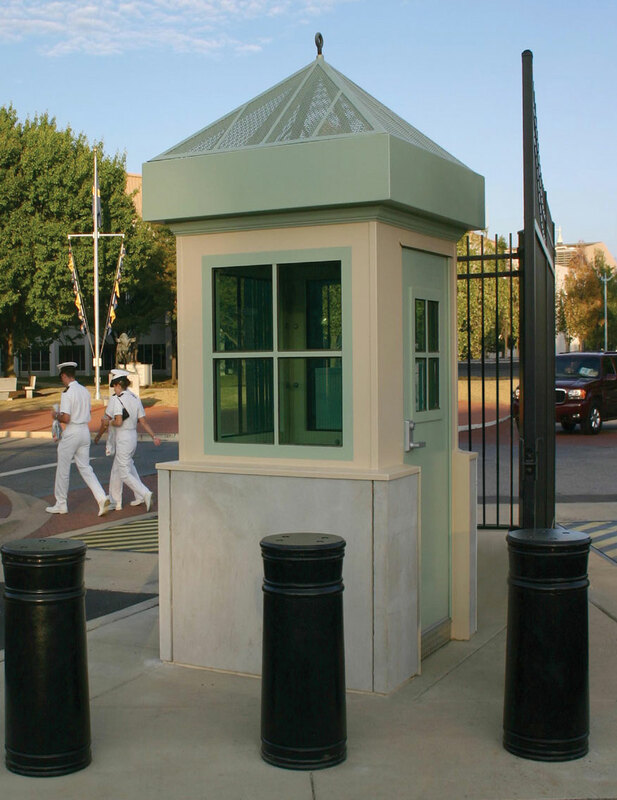 Bullet resistant Par-Kut guard booths can have a very basic appearance or can incorporate design enhancements to blend with special location requirements. The standard paint finish is customer’s single color of choice with a textured satin finish. 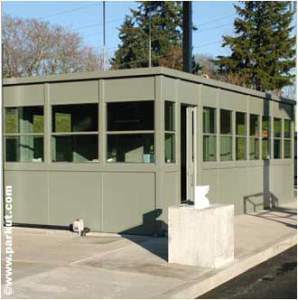 In addition to the high security line of bullet resistant enclosures, Par-Kut can upgrade its line of Architectural designs to include bullet resistant construction. 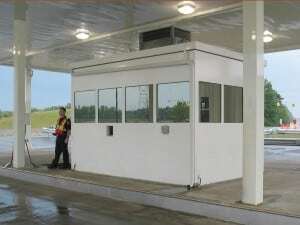 Go to our GALLERIES to view additional bullet resistant guard booths.